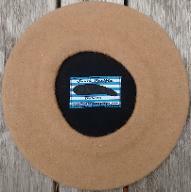 Many customers have asked for a basic small diameter beret as an alternative for the more upmarket berets found elsewhere on this site made of merino wool. Experimenting with wool varieties, we settled on a mixture of mainly British grown wool and had two beret models made at 25 and 26.5 cm diameter. 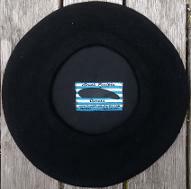 Fitted with a black cotton lining and the South Pacific Berets woven label, these berets are the perfect economic option for those gardeners, mechanics, sailors and the like who like to have a tight fitting beret in unrefined wool at a very low price. These berets need to be stretched to size; an informative short video on how best to do this you'll find below. Presently there is the 25cm model in camel and the 26.5cm model in black at $20.00 or get both at $35.00 only.